by Lauren E. Miller Author · Les Brown Author of introduction, etc. 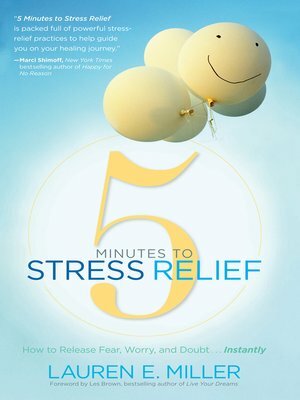 Acquire the mindset, skills, and simple techniques to quickly relieve stress, tension, and anxiety and discover a new you. Stress can wreak havoc on you physically, emotionally, and spiritually, hindering your ability to maintain inner calm, clarity of focus, and a motivated response to all of life. But you have the ability to change it. Lauren E. Miller understands what you're going through, and now she's equipping you with the simple tools to successfully handle any stressful situation—on the spot. and the emotions behind stress, including fear, embarrassment, vulnerability, invalidation, anger, worry, doubt, guilt, and shame. Most important, this guide provides you with all the skills you need to overcome and alleviate the bad feelings that have been controlling your life. With instant stress-relief tips, quizzes, and essential advice for creating a stress-free environment, Miller activates your God-given natural state of being.